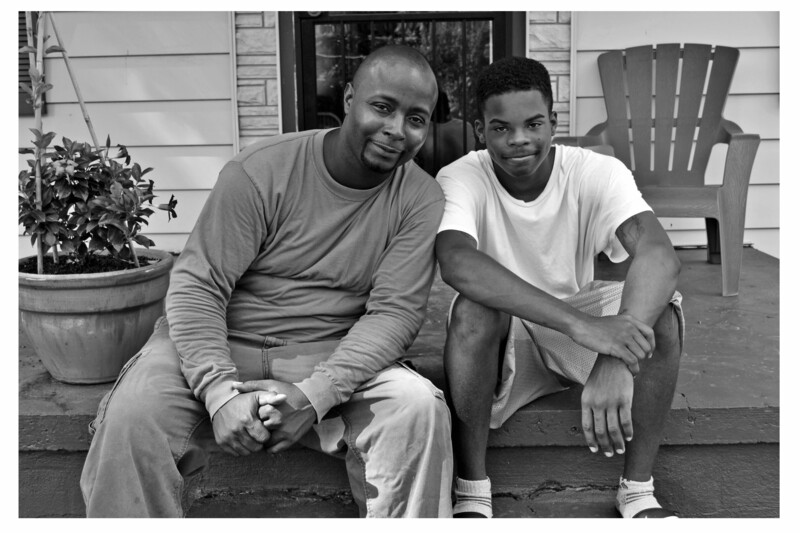 Willie Baldwin’s leadership skills have been formed by amazing mentors and a keen ability to identify with the cause. He’s passionate about leading children to Christ, so he works hard to gather the troops, encourage people on the frontlines, point to what really matters, apologize when things don’t go as planned, praise the King in the middle of chaos, recognize the enemy, and most importantly—stay the course. He knows the battle is not against flesh and blood, but against the evils of the world (Ephesians 6:12). His goal is to lead children along straight paths, because he knows the dangers of un-paved roads. Willie grew up in an area of North Memphis known as Hurt Village. The fifth child of seven siblings, Willie grew up fighting for his life and those of his younger sisters. His mother did her best to support them, but the $4 an hour she made at the gas station was hardly enough to make ends meet. Willie and his siblings were hungry, so he looked for alternate ways to help provide for their needs. He started stealing things and selling them for profit before his thirteenth birthday. From there, Willie moved into the more profitable trade of selling drugs to kids hanging around the outdoor basketball court near his mother’s apartment. That basketball court was where Willie met Roy “Soup” Campbell for the first time. The summer of 1990, Soup backed his red pickup truck into a clearing near the basketball court, opened the tailgate, removed the lid from a full box of donuts, and waited for the hungry kids to gather around. That day, Soup told Willie and the others about a loving and redemptive God. Willie listened as he ate and sipped orange juice. It wouldn’t be the last time he sat in awe as Soup spoke about salvation and forgiveness. In Hurt Village, a public housing neighborhood that’s no longer in existence, a beautiful friendship was born. Willie didn’t immediately follow the straight path. In fact, for the next seven years he bounced back and forth between obeying what the Lord commanded and doing what his buddies insisted. He had dreams of becoming a police officer, but God had something else in mind for Willie Baldwin—something that would encourage the broken-hearted and glorify the creator of the world. I first met Willie in 2004. He’d been praying for a way to give back to his community through starting a Bible study for the children on his street. Now, eight years later, the ministry that started in his living room is still going strong. 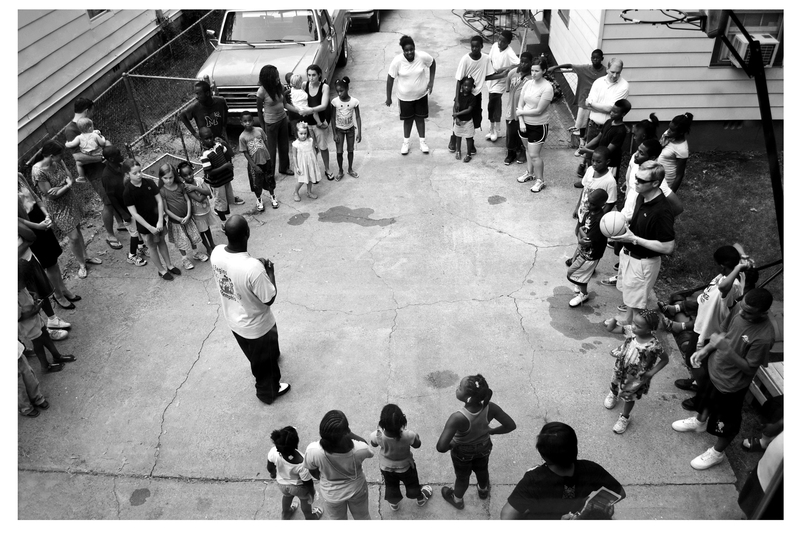 In fact, children aren’t just coming from his block to the Nathan Street Fellowship—they’re traveling great distances to Willie’s home in Binghampton for fellowship, prayer, games, biblical teaching, and free pizza. When the number of kids outgrew Willie’s living room, he (along with several volunteers) joined forces and built a two-story clubhouse in his backyard. The meetings have since moved from their original bimonthly schedule to several times a week and now minister to over one hundred children from ages 3-19. The children’s demand for more of Willie’s time earned him a full-time position with Eikon Ministries (the outreach ministry started by Soup Campbell in 1997). Through Eikon, Willie is able to mentor and interact with inner-city kids through sports programs, work programs, Bible studies, and mentoring relationships. Willie constantly points the kids in Binghampton to a loving God who can do anything. He tells them stories about the One who has already laid down His life for them. Willie relates to the kids in Binghampton as someone who knows what it’s like to walk in their shoes and suffer through their temptations. When times get hard, or the fight seems too great, Willie returns to his favorite verse and remembers to trust in the Lord, have faith in His goodness, submit to His will, and lead His children along straight paths (Proverbs 3:5-6). He’s a leader I’m proud to follow into battle.